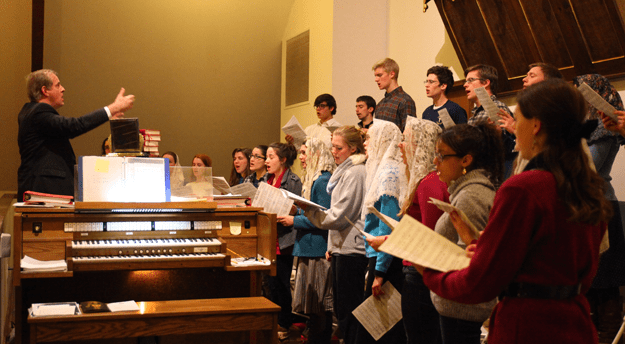 Christendom College holds the pipe organ “in high esteem, for it is the traditional musical instrument, and one that adds a wonderful splendor to the Church’s ceremonies and powerfully lifts up man’s mind to God and to heavenly things,” as the Second Vatican Council declared. To this end the college will have a four manual, 46 rank pipe organ specially built for its new chapel by Kegg pipe organ builders of Hartville, Ohio to beautify the liturgy. This organ is slated to be finished in the fall of 2020 and its stop list can be found here. In addition, an expansion of the music minor with a special emphasis on organ studies and an independent course of studies for organ will be instituted. Tentatively, there will be four scholarships available. The first will be for the principal organist position. This position will include $5000 in tuition reduction and organ lessons throughout the year. The organist holding this position will play at the Sunday Masses. The second scholarship will be for the assistant organist position. This position will include $3000 in tuition reduction and lessons throughout the year. This organist will play at weekday Masses. Finally, two $1000 scholarships will be offered to promising beginners along with lessons throughout the year and who will be given performance opportunities. Strong sight-reading and musicianship skills. 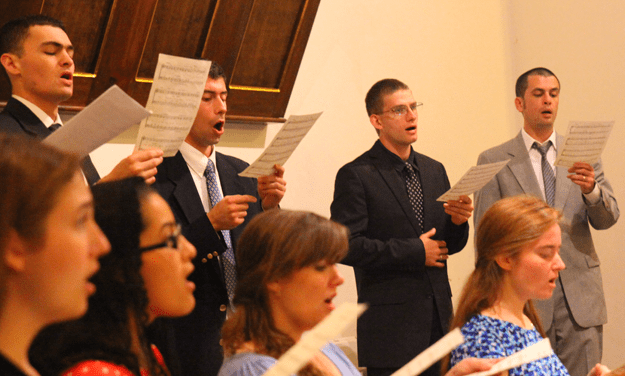 Ability to accompany congregational hymn and chant singing. Ability to play the organ literature with appropriate stylistic interpretations and registrations. Must have already completed an application for general admission to the college. Must enroll in and complete a music degree program at the college. Fill out the attached form, including one recommendation from an organ teacher by March 20, 2019. Submit it along with a video recording for prescreening purposes. The recording must include two pieces (one from each of the two categories listed below); for a pianist only one piece need be submitted. It is not required that the format be a professional or studio recording, but the sound quality must be as good as possible. The repertoire for this prescreening should be a performance of either a Bach prelude and fugue (or an equivalent Baroque work) and a movement from a Romantic or Contemporary work. Pianists who wish to audition for the $1000 beginner scholarships may perform a Bach two-part invention on the piano (or the equivalent). Prepare two works from the repertoire from sources such as were listed above in #3. One Baroque work and one Romantic or Contemporary work. Pianists auditioning for the $1000 scholarships must only play a Bach two-part invention (or the equivalent) and scales and arpeggios in all keys. No candidate may repeat the same pieces from the prescreening audition. Be able to sight-read two short pieces. Be prepared for a short interview. If you are selected as a scholarship recipient, you will have to sign a contract specifying your duties.